DOUGLASVILLE, GA (WXIA) -- The Georgia Bureau of Investigation is looking into a fatal shooting at a mobile home park in Douglasville Monday evening. A Douglas County Sheriff's Department spokesperson said deputies had responded to a call from the Arbor Place mobile home park after a security guard called 911 saying he'd been kidnapped and held at gunpoint by three men. According to the GBI, deputies talked to the security guard, who told them he had been held at gunpoint while he was making his rounds. The deputies were then approached by another man, Garrett Daniels, who told them that an armed man was on a nearby street. Monday night, family and friends gathered to remember a Douglas County teen killed in a car crash. DOUGLAS COUNTY, Ga. -- Concerns are growing over part of a highway in Douglas County where a teen died Wednesday. Sixteen-year-old Joshua Murphy was killed when Georgia State Patrol said somehow he crossed the centerline and hit another car that carried three other teens. People who live in that area call it a blind curve and want the state to make changes to make it safer for everyone. "People aren't just doing 40, they're not just doing 50 they're coming around there at a good amount of speed and I understand they can't straighten out the road, but there's got to be a way," said Shannon Mobley. LITHIA SPRINGS, Ga -- Mountain Motorsports, which has six stores in Metro Atlanta, has to feel like they're being picked on after two of their stores were the victims of smash and grab burglaries over the weekend. 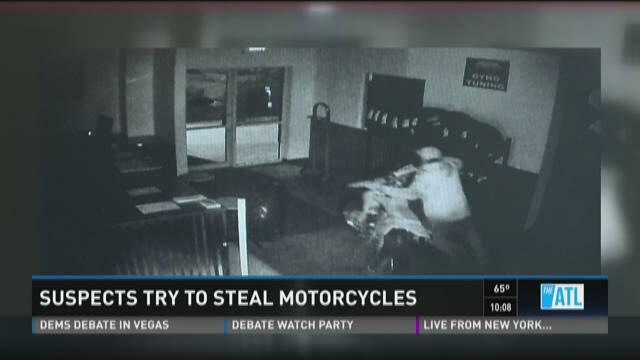 The thieves tried but failed to steal motorcycles and left more than $100,000 in damages behind. DOUGLASVILLE, Ga. -- A group active in supporting the display of the Confederate Battle flag has been indicted as a street gang. The group known as "Respect the Flag" was indicted by a Douglas County grand jury. The Douglasville Police Department and the Douglas County District Attorney conducted an investigation to determine if any laws were broken. DOUGLAS COUNTY, Ga -- A suspect hunted by Douglas County investigators may be responsible for a half dozen burglaries at businesses. 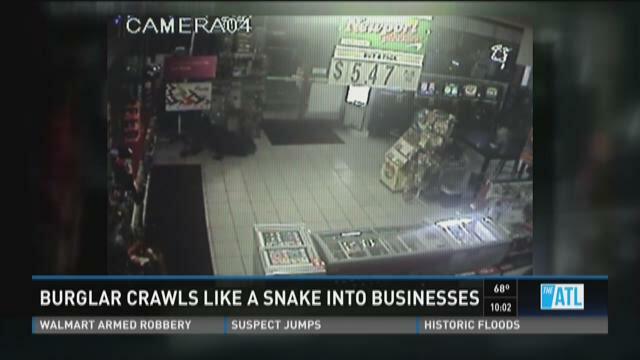 They said they know it's the same suspect because he is breaking into the businesses in a unique way. DOUGLASVILLE, Ga. -- U.S. Marshals and local authorities arrested five fugitives in connection with a Waffle House shooting in August. Lafayette Bradly, Dennis Robinson and Jeremy Caldwell all of Douglasville were arrested on Tuesday in connection with a shooting at the Waffle House in the 6100 block of Fairburn Road in Douglasville. The arrests were part of a shooting investigation into an incident at the local establishment after a fight. The two groups were allegedly at a party together earlier in the night. Two other suspects were also arrested in connection with the crime. Joshua Gore of Austell was taken in on warrants out of Cobb County for failure to appear and burglary. Melvin Evans was arrested on a Cobb County warrant for murder. Douglas County officials said all were taken into custody without incident.